"A Hybrid Routing Protocol for 3-D Vehicular Ad Hoc Networks"
"Cooperative Cognitive Intelligence for Internet of Vehicles"
"MLECOG: Motivated Learning Embodied Cognitive Architecture"
"A Novel Automatic Composition System Using Evolutionary Algorithm and Phrase Imitation"
"An Attentional Model for Autonomous Mobile Robots"
"Visual Focus of Attention Estimation Using Eye Center Localization"
"Optimizing Sensor Network Coverage and Regional Connectivity in Industrial IoT Systems"
Would you like to set up a workshop on the topic of Systems Engineering? If so, contact Bob Rassa at rcrassa@raytheon.com. The Standards Technical Committee is looking for members! To learn more please contact Annette Reilly. 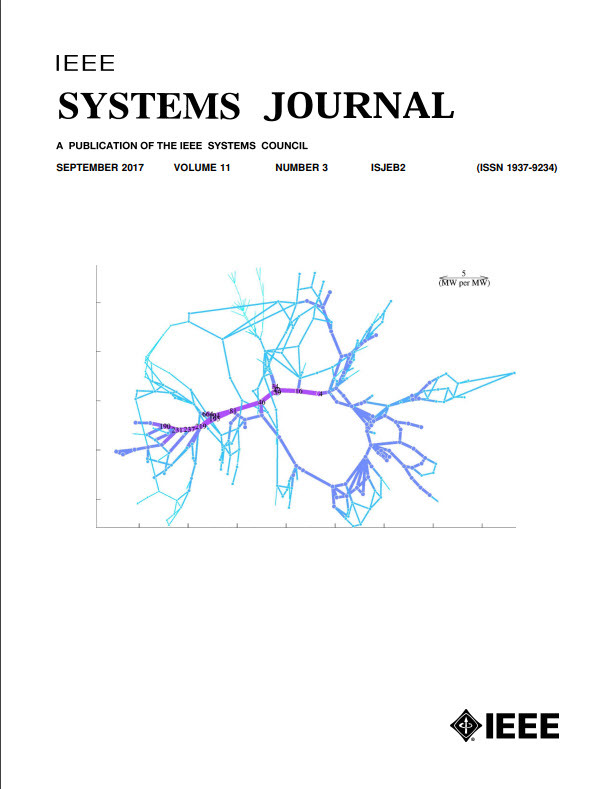 The IEEE Systems Council Newsletter includes time sensitive news useful to its members and highlights content of the current issue of the IEEE Systems Journal. I am just back from Vienna, Austria where I took part, with many of you, in the IEEE International Symposium on Systems Engineering. It was a great conference with an interesting keynote speech on the new ITER project on the production of fusion energy, and with many technical and scientific papers presented in the symposium sessions. You will find the conference proceedings in IEEE Xplore shortly. Mark your calendars, as the next symposium will be held in Rome, in October 2018. The IEEE Systems Council is always on the move: our next event, the IEEE Systems Conference will be held in Vancouver, British Columbia, Canada in April 2018. Check the Council website for more information on the conference and other Council activities. Finally, there will be a new President, Stephanie White, who will lead the IEEE System Council for the next two years. Help me welcome her and wish her fruitful work for the benefit of our community. View the full list of our Member Society Representatives. The 2019 nomination for IEEE Fellows is now open! Any candidate nominated with Systems Engineering as part of his/her experience may request that their evaluation be completed by the IEEE Systems Council. All nominations are due on 1 March 2018. More information on the nomination process can be found on the IEEE website. The 12th annual IEEE International Systems Conference will be held 24-26 April 2018 in Vancouver, Canada. For more information, view the conference website. If you would like to join the Technical Program Committee for the International Systems Conference, please contact Cynda Covert. The Human System Integration (HSI) Technical Committee has submitted a proposal for a special paper track to focus on HSI in Systems Engineering. This newly-formed technical committee focuses on identifying and improving methods to integrate human concerns into the conceptualization and design of systems. HSI encourages early understanding of human roles and responsibilities, along with limitations and constraints that may impact system design. The proposed session track will accept papers from a wide range of topics that address issues that arise at the intersection of the user with the system. For more information on both the paper track and/or joining the HSI TC contact: Holly A. H. Handley at hhandley@odu.edu. The 4th annual IEEE International Symposium on Systems Engineering will be held 1-3 October 2018 in Rome, Italy. If you would like to join the Technical Program Committee for the International Symposium on Systems Engineering, please contact Cynda Covert. One award was given at the 2017 International Symposium on Systems Engineering and the other will be given at the 2018 IEEE International Systems Conference. Jinsong Wu, Song Guo, Jie Li, and Deze Zeng For the paper entitled, "Big Data Meet Green Challenges: Big Data toward Green Applications." Chunsheng Zhu, Hai Wang, Xiulong Liu, Lei Shu, Laurence T. Yang, and Victor C. M. Leung For the paper entitled, "A Novel Sensory Data Processing Framework to Integrate Sensor Networks With Mobile Cloud." We are pleased to announce the establishment of the Systems Education Technical Committee. The committee is meant to provide both a forum for the exchange of ideas on systems topics including systems thinking, systems education, system dynamics and system engineering; in short, all systems related educational activities associated with the IEEE Systems Council and IEEE. If you are interested in joining us to contribute to building this committee, please visit our website or send an email to Charles Pickar. An IEEE Chapter is a geographical subunit of an IEEE entity and is established by petition to the IEEE. Chapters are concerned with representing and fulfilling the needs of the member in their specific geographical area. Chapters allow members to meet face to face and host local activities. The Systems Council is looking to expand through the use of chapters. Creating a Systems or Joint Chapter is easily done through a petition, submitted to IEEE. For more information on this process please visit the IEEE website or contact Marco Parvis, VP Member Services at marco.parvis@polito.it. The IEEE Systems Council currently has ten Chapters: IEEE Italy Section Chapter, IEEE Mohawk Valley Section Chapter, IEEE Coastal Los Angeles Chapter, IEEE Toronto Chapter, IEEE Shanghai Section Joint Chapter, IEEE South Africa Section Joint Chapter, Systems Council Chapter, UK and Ireland Section, IEEE Long Island Chapter, IEEE Washington Chapter, IEEE Mexico Chapter.